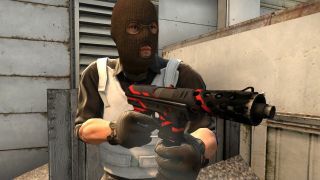 The CS:GO update released on March 31st contained numerous fixes, particular to some key weapons for the competitive scene and to most of the maps used in the Active Duty map group. Let's run through the major adjustments Valve made. The AWP has been changed so that players move much slower while scoped in. This change takes many of the standard AWP pick spots and turns them heavily into the favor of the Counter-Terrorist (CT) sniper, as the Terrorist will not be able to scope in before moving out to take a shot quickly, where previously it would have been a similar chance for both snipers and the offensive sniper could have perhaps gotten away to cover if he missed his shot. The impact this will have on the competitive scene is likely to be drastic, as AWPing was already a niche skill and it was rare to even see teams run two AWPs on either side of the game. In particular, teams like Titan and Na`Vi, who rely heavily upon the individual sniping strength of kennyS and GuardiaN, should find some difficulty in adapting, as they will get fewer T-side kills from their AWPers and lose a key strength from their stars. Players of CS 1.6 may note that the changes are more in line with how the AWP was back in that iteration of Counter-Strike, but a key difference is that quick-scoping—firing without letting the scope animation complete—was significantly more accurate and possible to control back in 1.6. In CS:GO, there is a random component to quick-scoping, meaning that AWPs are more likely to be overrun and killed. The kill bonus for AWPs was already weak to the extent that the weapon's strength primarily lay in either having a star AWPer or being able to control a position and win the round, thus making back some of the investment via the round win bonus. On their own, AWPs are highly cost-inefficient weapons, unable to make back the money spent on them purely by kills made with them. Many in pro scene have already spoken out about this change and it is hoped that it will be in some sense reverted, though, knowing Valve, that does not seem entirely likely. To say the Tec-9 was overpowered previously would be a vast understatement. The pistol was so powerful that it made sense to buy it on every single save round as Terrorist at the pro level, such was the likelihood of being able to get a kill and then parlay that into picking up a weapon. Teams like FNATIC and EnVyUs were already the best in the CZ era and adapted to become even more frightening with the Tec-9. Typically, weapons should be balanced in CS around making their accuracy related closely to how much you have to stand still to achieve such accuracy. The Tec-9 betrayed that balance and thus threw off the whole standard dynamic of CS:GO. Yes, we saw more T side rounds won, but it came at the price of the integrity of how the CT side should conceptually be able to be played. The changes see the damage of the weapon fall-off, hopefully preventing some of those long, random headshot kills onto enemies with full weapons, and rewarding the ability to close the distance. The magazine size has also been reduced to 24, since it could essentially be spammed with impunity in its previous, 32-shot capacity. The price of the M4A1-Silencer was increased by $100 to $3,200 to "align the weapon’s price with its utility," Quite a bizarre statement, really, in light of the fact its lower clip size of 20 bullets, in comparison to the M4A4's 30, already balanced the weapon heavily against its unsilenced counterpart. Many pros have already begun practicing their M4A4, as that $100 and 10 more bullets is suddenly looking vastly more cost-efficient. A regular complaint from professionals is that the movement speed and lack of tagging has allowed too much mobility from Terrorists, who seemingly fly around corners and overwhelm opponents who have even hit them on the way. The introduction of increased tagging, based on weapon, looks to help balance that out and reward those who land shots on their opponent, hopefully allowing spots such as the pit in long A on Dust2 to be more easily covered when one does not immediately get the kill. Train has, as previously promised, been added to the Active Duty group. In the early days of CS:GO, as in 1.6, this was a core part of the map pool, but was reduced due to both being considered tremendously CT-sided and rarely being picked to be played in competitive games. The new train has been reworked and it has been promised to be easier to secure bombsite takes with, particularly at the outside site. With the advice of some pro-gamers apparently having been taken on board, hopes are high that the map can bring a new dynamic to the map pool in the pro scene. The old Train suffered from the differences between 1.6 and CS:GO, as it did not allow players to move under trains, a key component in 1.6 to allow Terrorists to hold onto sites after planting and not be easily found. Even with the outside bomb spot moved closer to the Terrorist mid, the map was still heavily biased to the CT side. NiP's early dominance on the map scared many top pro teams away from playing it, leading us into the era of it being almost permanently banned, similar to the status nuke has taken on now among the top teams. I'm Duncan "Thorin" Shields, also known as "The Esports Historian," and I've been involved in esports journalism since 2001. I write for a number of sites on a freelance basis, provide on-camera analysis at CS:GO tournaments and produce YouTube videos on my channels. Follow my work on Twitter, YouTube, and Facebook.